Every day an unseen form of labor creeps into our lives--stealing precious moments of free time, placing a strain on our schedules and our relationships, and earning neither appreciation nor compensation in return. This labor is life admin: the kind of secretarial and managerial work necessary to run a life and a household. 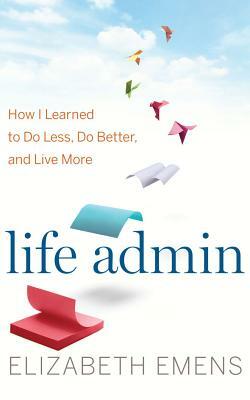 Life Admin tackles the problem of admin in all its forms, from everyday tasks like scheduling doctors appointments and paying bills, to life-cycle events like planning a wedding, a birth, a funeral. Emens explores how this labor is created, how it affects our lives, and how we might avoid, reduce, and redistribute admin whenever possible--as individuals and as a society.